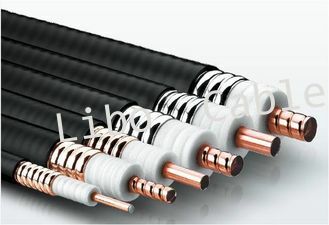 Inner conductor is copper clad aluminum, smooth copper tube or helix copper tube is also avaliable for inner conductor as different options. insulation is high physically foaming PE. Outer conductor is corrugated aluminum tape. PE for outer jacket. Over 18 years of experience on coaxial cable, we have been in business partnership with multi-national cable companies since 1994.